The thing about cyber threats is that as computing technology advances, the scope and capability of malicious software advances too. There’s not much to be done about that, and the fact that the two will likely always keep pace with each other in this way will likely continue forever. What never changes is that the best defence against malware is to be proactive in keeping your ecosystem free of invaders or infections. That, and being suspicious pretty much any chance you have to be that way. Being on top of our security needs like a guard sentry on watch is pretty much the norm for any Canadian web hosting provider, and here at 4GoodHosting we’re all over ours pretty much all the time. Running data centres put a whole new scope on defending against malware, but here today we’ll discuss what it is the average individual can do with a look at our take on the 5 best malware removal tools. 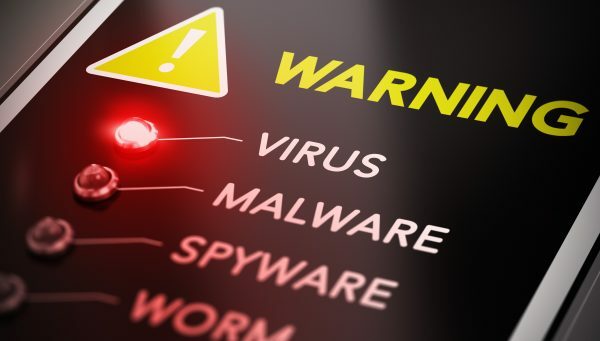 We shouldn’t straight off the hop assume everyone out there’s familiar with what exactly malware is, so let’s give a brief overview of that. Malware is a condensed term built out of malicious and software. What malware does is that it tricks its way into your system – or tricks you into allowing it access – and hacks data. Common types of malware include names you’ve probably heard before like virus, spyware, worm, and trojan. You don’t have to be tech knowledgeable to know when you’ve got one. Common symptoms include PC crashes, restarts or freezes, pop-ups, and warning messages being displayed, or unresponsive systems or similar issues. In worst cases scenarios the person suffering the malware attack may have their data or system held for ransom, with the malware attacker demanding money to release or disinfect your system. However, in most cases the hackers that will go to this type of trouble will be looking to fry bigger fish rather than an individual person. Next, let’s look at common types of malware. Viruses appear as an executable file that – once permitted to run – corrupts the files and damages a system’s core functionalities. Trojans named after the way the Greeks tricked their way into Troy with a subterfuge, the ‘Trojan Horse’ that looked like a harmless gift. A trojan looks and behaves like a legitimate software, but it creates loopholes in your system’s security that permit other malware to enter the system. Just as the name suggests, spyware is created to spy on your online activities. Spyware can also gain access to confidential data like credit card pins, passwords, and more. Worms are created to affect the network of devices either across the entire network, or locally, and they can promote a whole variety of function issues and system slowdowns. We mentioned ransoms earlier here, and this type of malware is created to put you in a difficult situation where you hopefully agree to pay some money to have everything put back to normal. Ransomware can completely lock the system and the system owner is threatened with having all of their data erased. Often disguised as advertisements for software that are used to sabotage your system security and open the system to malware attacks. Botnet is a group of internet-connected devices that are infected and controlled by a similar malware that becomes rooted in all of them at the same time. Spybot is an anti adware and spyware software that’s compatible with the Microsoft Windows operating systems. Spybot is also available in a free trial version. One drawback of Spybot is that it consumes much time to scan the drives. SUPERAntiSpware is very effective for neutralizing spyware attacks. However, it is not available with any real-time scanning attribute. SuperAntiSpyware is available in a free version but to make real use of it you need to buy the license key version. SuperAntiSpyware is compatible with Windows operating systems. Emsisfot anti-malware tool protects your system against Ransomware, Bots, Banking Trojans and PUPs. It is equipped with advanced cleaning and restoration capabilities, and it is compatible with Windows operating systems in both free and paid versions. Combofix is freeware designed to target spyware specifically, and allows for manual removal of spyware. It’s compatible with Windows XP/7/Vista 32 bit and 64-bit system while incompatible with Windows 8.1/10. Kaspersky Lab provides 24/7 real-time scanning of your system, and gets top marks for affordable anti-malware software. It is compatible with both Windows and Mac operating systems, and works to defend against all of the most common malware to ensure it’ll take something very obscure and uncommon to infect your system. As mentioned, the best defence is being proactive and being suspicious of pretty much any type of 3rd party software offered to you. Having one of these 5 tools at the ready is a good idea if your business needs put you at risk in this regard more than others. Many people will have a domain name they once owned that eventually lost its value and was discarded. Most of those folks won’t have given much thought to it after declining to renew it with their web hosting provider, and 9 times out of 10 it’s true that nothing more will come of it. However, cyber security experts are now letting people know that an abandoned domain name can allow cybercriminals to gain access to email addresses of the company or individual that previously owned it. 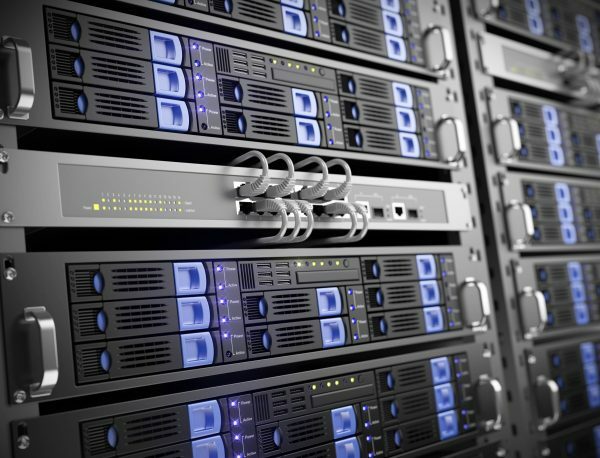 Here at 4GoodHosting, we’re not unlike any other Canadian web hosting provider in the way we claim domain names for clients across hundreds of different industries. Many of whom will have that same domain name for themselves to this day, but some will have abandoned one or more because they found something better or simply because the domain name wasn’t required anymore for whatever reason. Here’s what happens when a domain name expires. It goes into a reserved state for a certain time, during which time the the recent owner has the ability to reclaim it. If and when that time expires, it becomes available for re-registration for whomever at no additional costs, identity or ownership verification. Now while it is true that SEO professionals and spam trap operators are good at keeping track of abandoned domain names for various purposes, many of them will not know they are a potential security risk. So let’s discuss this here today. Look no further for a pressing concern than the fact that the new owner of the domain name can take control of the email addresses of the former owner. The email services can then be configured to receive any number of email correspondences that are sensitive in nature. These accounts can then be used to reset passwords to online services requiring sensitive info like personal details, financial details, client-legal privileged information, and a lot more. Recently this has been more in the new because of research performed on domain names abandoned by law-firms in Australia that were cast off as a result of different mergers and acquisitions between companies. These law firms had stored and processed massive amounts of confidential data, and when the domain names were abandoned they still left breadcrumbs that could possibly lead the new owners of those domains to sensitive information. The possibility of this being VERY problematic should be easy to understand. Email is an essential service in every business, and is a company lost control of their email lists it could be devastating, especially considering sensitive information and documents are often exchanged over emails between clients, colleagues, vendors and service providers due to the simple convenience of doing so. 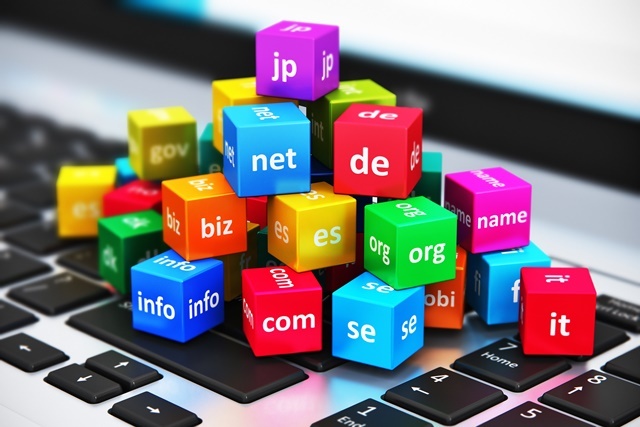 The study Down Under found that an average of nearly a thousand ‘.au’ domain names (country code TLD for Australia) become expired every day, and we can assume that number is considerably larger here in North America. Further, the list of expiring domain names is typically published in a simple CSV file format and accessible to whoever would like to see it, giving access to anyone who wants to see the domain names that have expired. Communications storied in the cloud are especially at risk. IIf all the messages aren’t deleted from these cloud platforms, they may remain accessible for the new owner of the domain and then you now have the potential for a leak of sensitive info. Of further concern is the fact that if that email address has been used to sign up for an account on social media platforms like Facebook, Twitter, or LinkedIn, etc. then the domain’s new owner can reset the passwords and gain access to those accounts. To avoid this scenario, Companies should ensure that the domain name remains valid for an indefinite period even if it has been abandoned. All the notifications that may contain confidential information should be unsubscribed from the emails. In addition, disconnecting or closing the accounts that are created using business emails is recommended. Enable two-factor authentication for all the online services that allows it as well, and be sure to do this as soon as possible and leave it in place indefinitely. This is good advice not only for businesses or venture that make use of multiple domains and have moved on from plenty in the past, but it’s good advice for anyone in today’s day and age of cyber threats. Hearing the world ‘duplicate content penalty’ strikes fear in the hearts of most marketers. However, understand that it’s only people with no SEO experience that use this phrase with any frequency. Most have never read Google’s guidelines on duplicate content, and they just somehow conclude that there’s going to be heck to pay if something appears twice online. Here at 4GoodHosting, part of what makes us a good Canadian web hosting provider is the way in which we’re frank with our customers about exactly how it is the in the world of digital marketing. 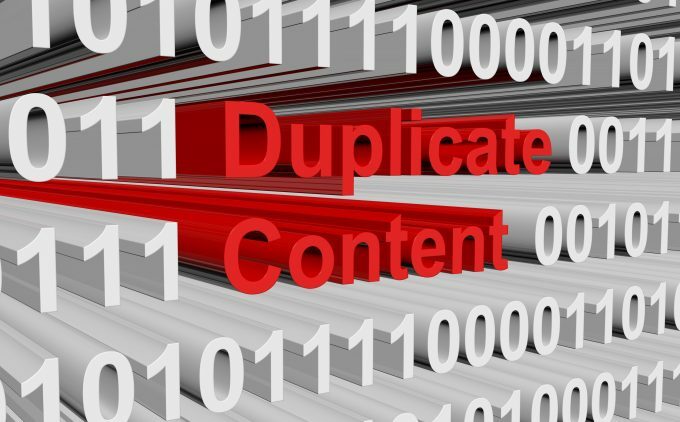 Is publishing duplicate content advisable? No, it’s certainly not. Is it going to be catastrophic for my visibility online as someone with a real interest in successful digital marketing. Very unlikely, and that’s going against what many of you have likely heard. Let’s bust some duplicate content myths today. There has yet to be any evidence that non-original content hurts a site’s ranking, except for in one truly extreme and rare instance. The same day a new website went live, a very lazy PR firm copied the home page text and pasted it into a press release. By putting it on various wire services they immediately created hundreds of versions of the same homepage content plastered all over the web. Google took note, and not in a good way, and the domain was manually blacklisted. Why was this so much of a problem, when similar instances – albeit on a lesser scale – occur every day? For starters, let’s consider volume. There were hundreds of instances of the same text. Next, timing; All the content appeared at the same time. Next, Context; It was identical homepage copy on a brand new domain. There’s a lot to be tolerated, but laziness isn’t going to be. However, this isn’t what people are talking about when they offer the phrase ‘duplicate content.’ It takes more than simply same word-for-word copy from one well-known site copied to another lesser known one to make red lights go off at Google. It’s a fact that many sites – including some of the most popular blogs on the internet – frequently repost articles that first appeared somewhere else. There’s no expectation that this content will rank, but they also know it won’t make their domain less credible. Experts familiar with Google Webmaster Tools know that when a scraper site copies a post any links to his site through that copy are disavowed. And if you’ve ever seen the analytics for a big blog you’ll know that some sites get scraped ten times even before the clock reaches 8am. Trackback reports bear this out, and no they do NOT have a full-time team watching GWT and disavowing links all day? Scrapers and duplicate content are quite simply NOT a priority for them. Scrapers don’t help or hurt you, and primarily because the sites they’re serving aren’t even relevant or visible in the first place, and the scrapers usually take the article verbatim, links and all. Those links pass with little or no authority, and the occasional referral visit isn’t going to get those recipients very far 9 times out of 10. On the very rare occasion that Google does get confused and the copied version of your content is outranking your original, Google will want to know about it. Tell them using the Scraper Report Tool. Google Authorship is also highly recommended. It’s a way of signing your name to a piece of content, permanently associating you as the author with the content. With Authorship, each piece of content is connected to only one author and those blogs that correspond to being ‘contributor to’ blogs. No matter how many times it gets scraped, this remains the case. Keep in mind as well that there is a big difference between scraped content and copyright infringement. Sometimes, a company will copy your content (or even your entire site) and claim credit for its creation. Most of you will know what plagiarism means, but for those who don’t it is the practice of someone else taking your work and passing it off as their own. Scrapers aren’t plagiarizing within the scope of what they do. Anyone who signs their name to your work, however, is plagiarizing it. It’s a BIG no-no. Many contributors are guest bloggers, and it’s unlikely that their usual audience sees all their guest posts. For this reason it may be tempting to republish these guest posts on one’s own blog. It’s NOT a hard and fast rule, but content on your own site should be strictly original. But not for fear of a penalty, and more so because original content offers value and that’s good for your web presence in a much more holistic (and rewarding) way. Canonical is simply an uncommon word that means ‘official version.’ If you ever republish an article that first appeared elsewhere, using a canonical tag to tell search engines where the original version appeared is wise. Add the tag and republish as you see fit. Googlebot visits most sites on a daily basis. If it finds a copied version of something a week later on another site, it will identify where the original appeared and move on without creating anything of a fuss. Dinging a domain because unoriginal text was found isn’t nearly the problem for them that others make it out to be. Fact is, a huge percentage of the internet is duplicate content, and Google is very much aware of it. They’ve been separating originals from copies since 1997, a darn long time since the phrase ‘duplicate content’ became a buzzword around 2005.